To: "Black Mamba Patrol BSA Den 11"
This is a reminder that our next den meeting will be a visit to Troop 99. 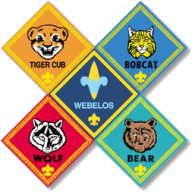 As we have discussed, visiting a scout troop is an important part of the Arrow of Light requirements because it is an opportunity for the Webelos to work alongside the older boys in a regular troop meeting. This will help acclimate them to the environment they'll be in once they cross over in April. There are a few boys who have not yet participated in any of our troop visits, which is required to earn the Arrow of Light award so please make every effort to get to this event.